with downloadable R+ Task and R+ Motion software. 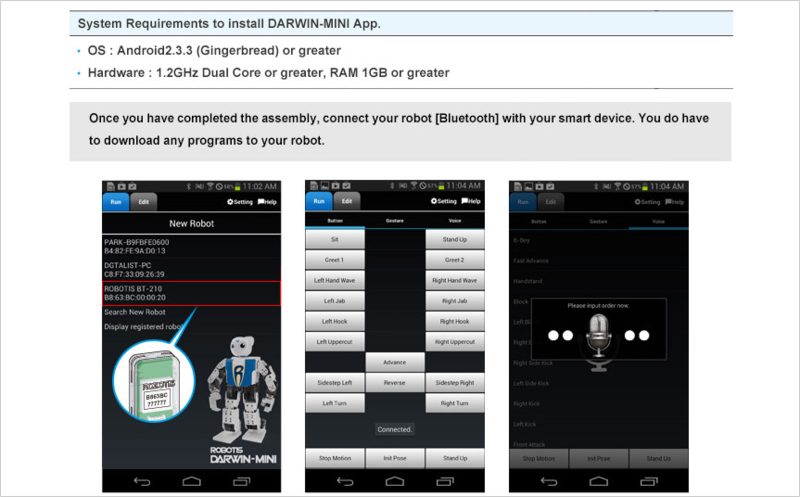 You can also control the robot via smart device by downloading the ROBOTIS MINI app. 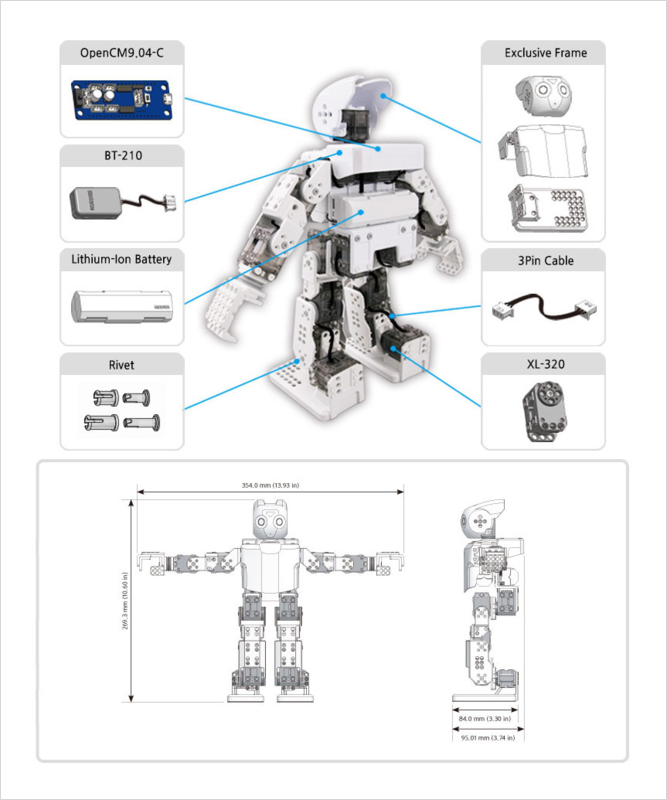 ROBOTIS offers a various range of sensors and parts to add onto ROBOTIS MINI to accomplish and carry out different missions. 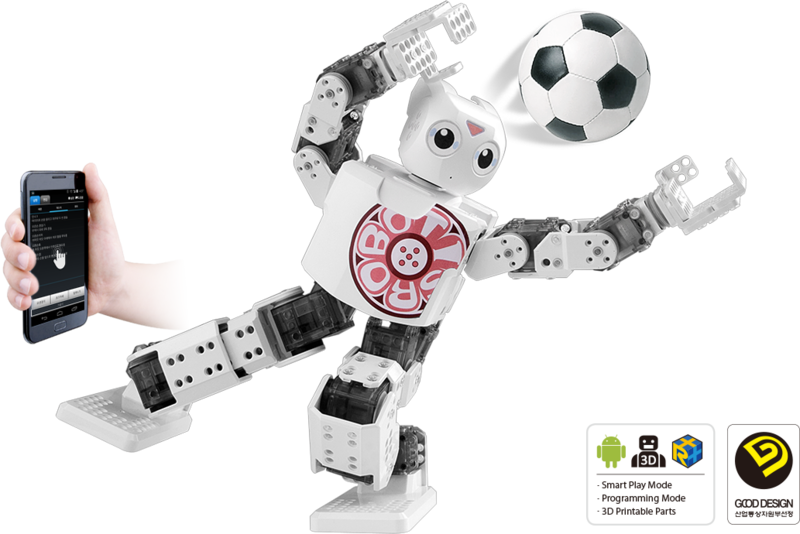 The ROBOTIS MINI application [app] uses Button, Gesture, Voice Recognition, and Messenger to control or change movements. Program your robot using RoboPlus! Use RoboPlus Motion to add or modify motions. Use the ROBOTIS MINI App to access the setting for Server/Client, Motion Sound, and files.